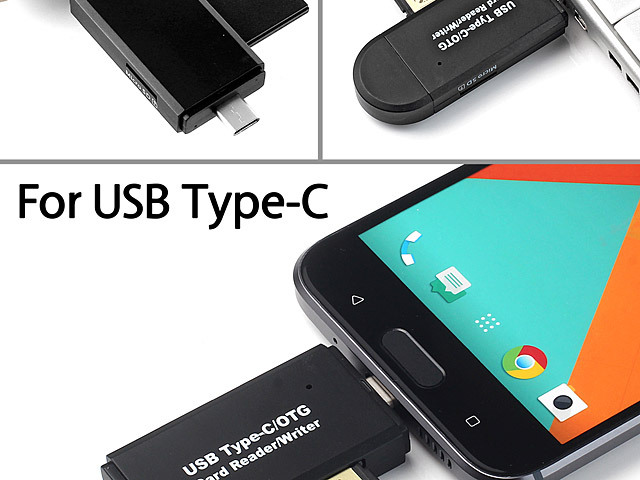 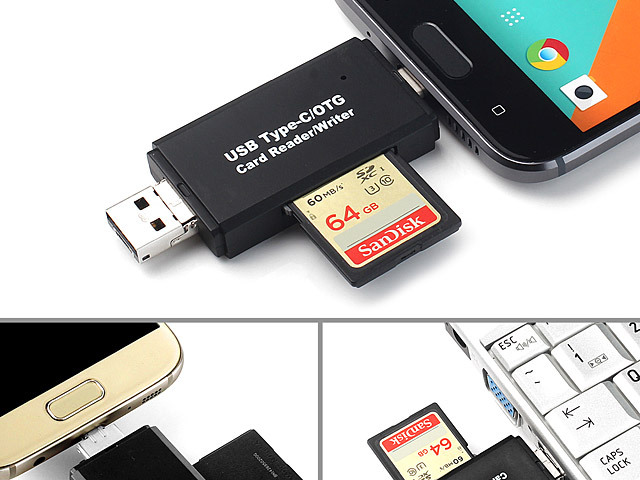 The 3-in-1 USB Type-C OTG Card Reader is a storage gadget for Smart Phone/Tablet/PC. 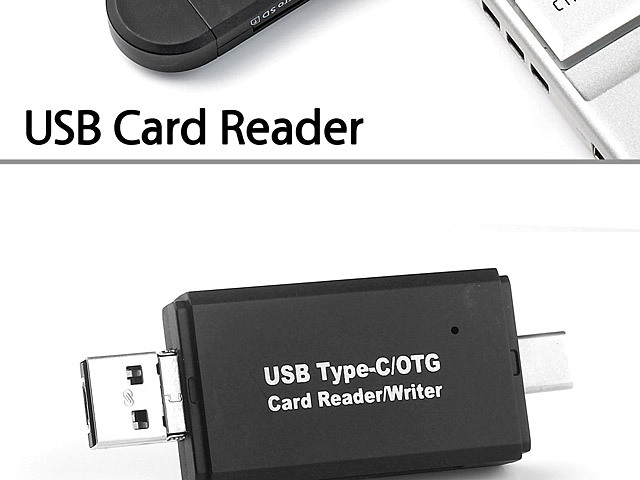 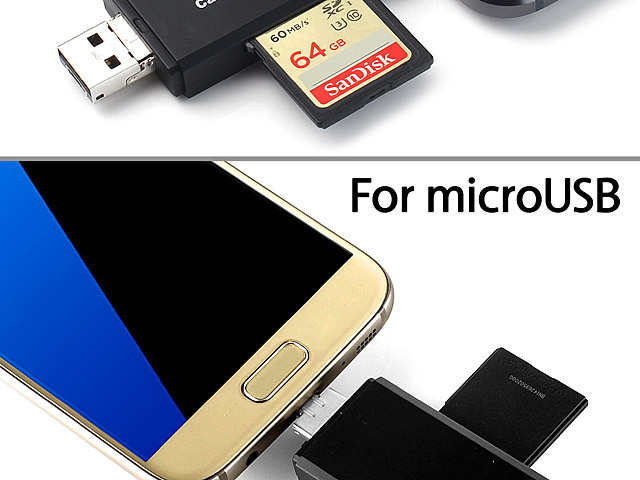 This card reader is not only connects to your computer but also to your OTG enabled USB Type-C Smartphone/devices & microUSB SmartPhone/Tablet. 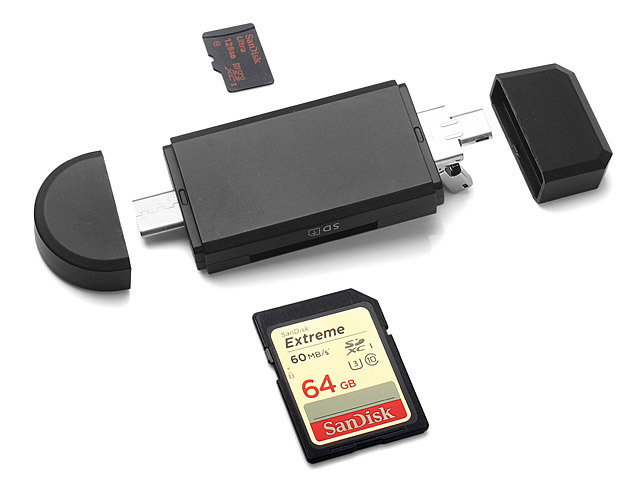 With the built-in SD(HD) and microSD(HC) memory slots, you can get easy to increase your mobile device storage space. 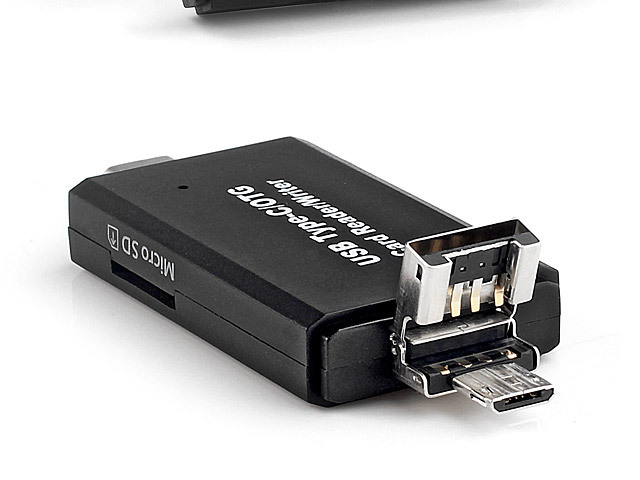 This 2-way storage device is the easiest way to transfer the data between your PC and mobile device. 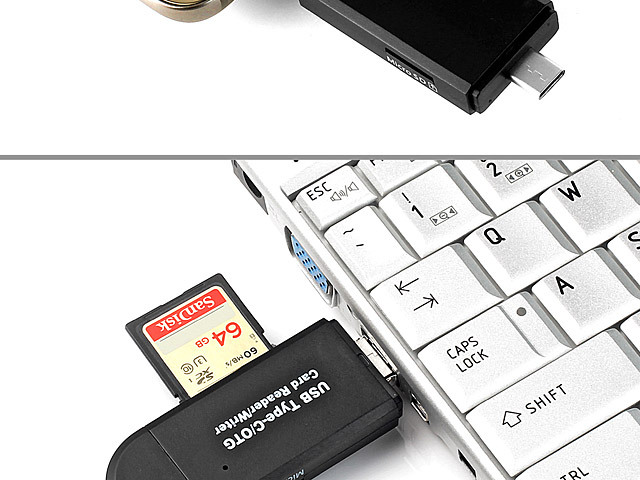 ***Memory cards are NOT included.